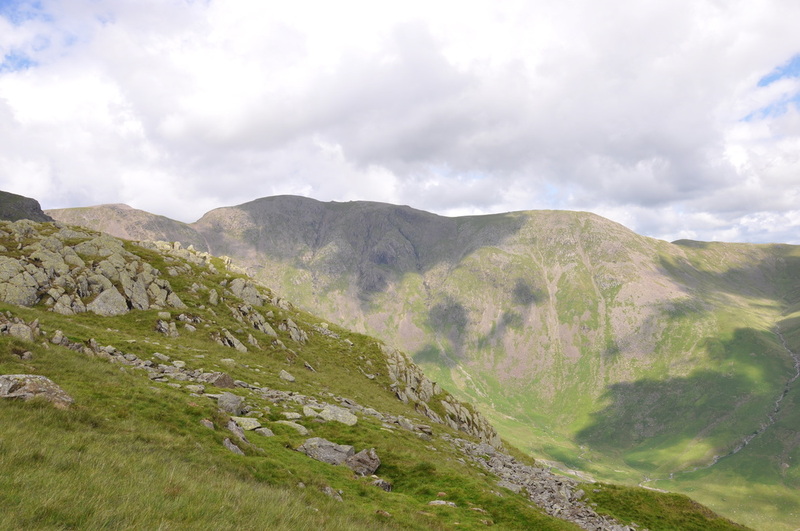 Excellent path to Dore Head with some light scrambling up Stirrup Crag. 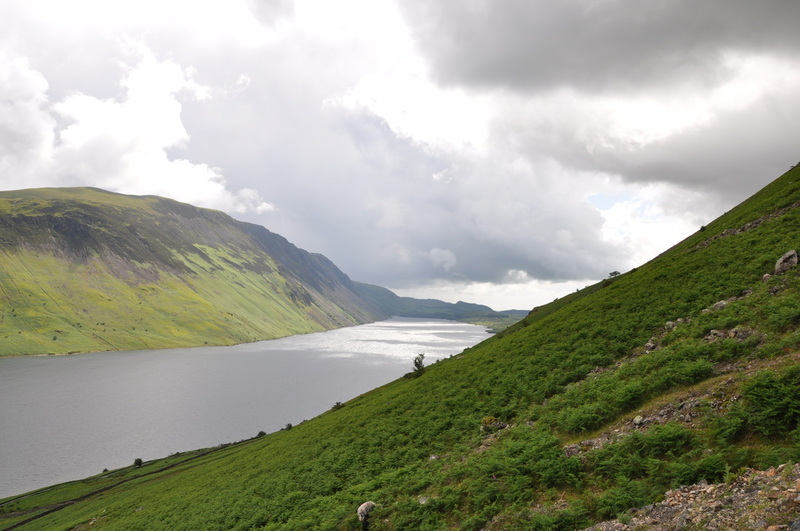 We descended from Yewbarrow down the mountain side with no recognised path. 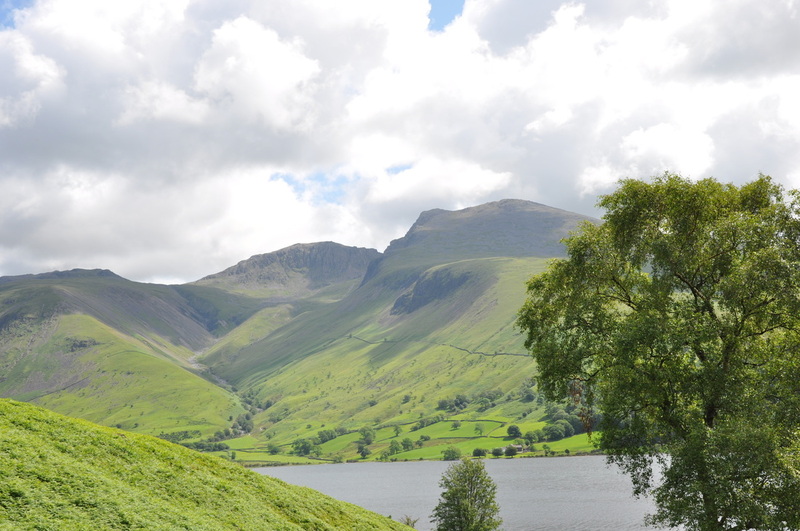 Drove straight to the Lake District from Dave's parents in Liverpool for 4 days walking and decided to head straight to Wasdale before going to our B&B in Troutbeck Bridge. 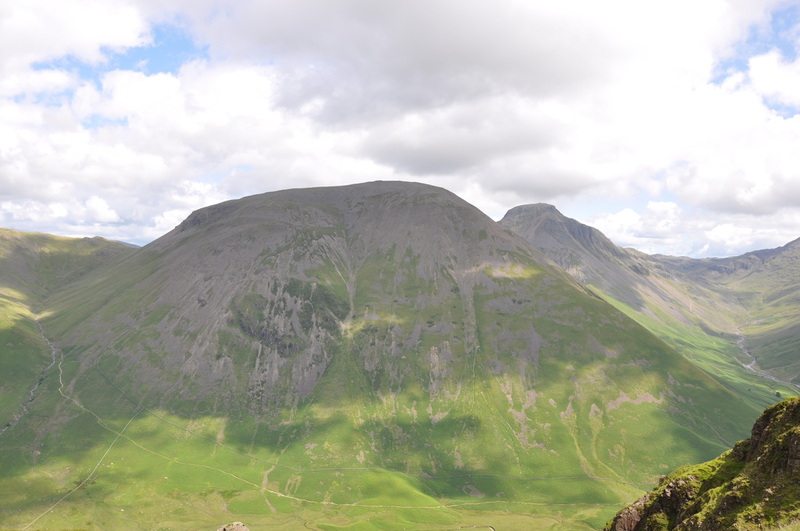 Yewbarrow was our 45th Wainwright on Angie's 45th birthday! 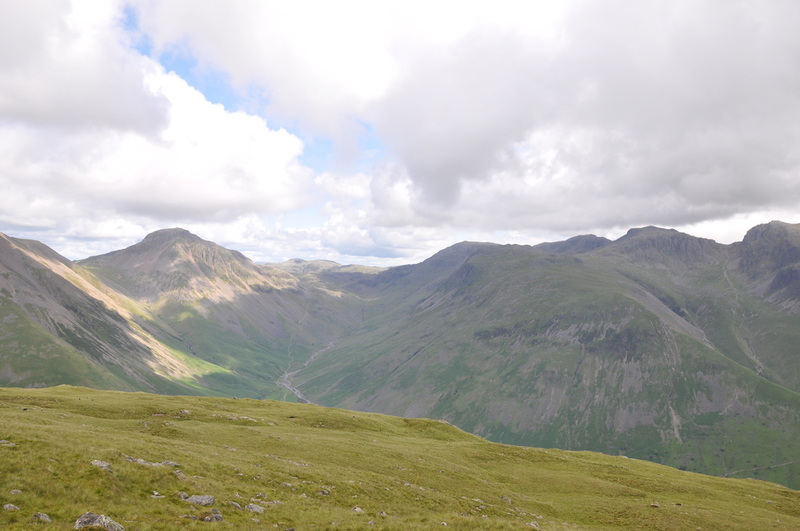 We had caught Wasdale on a very rare day of nice weather therefore we set off from Overbeck Bridge having already taken some good photographs of "The View" (see below). 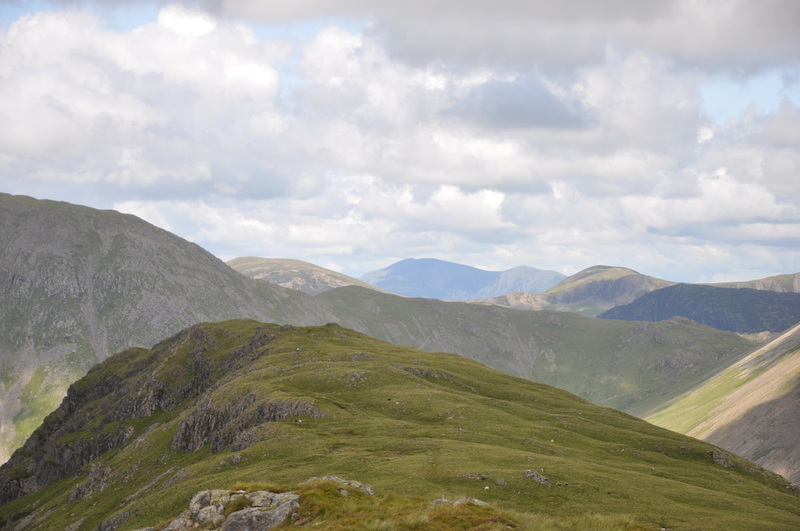 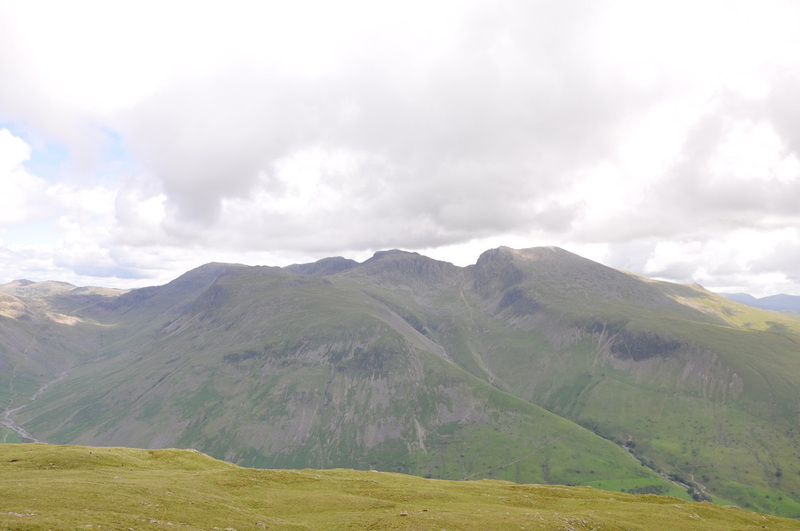 Deciding against a direct ascent of Bell Rib, we took the good path to the West of Dropping Crag and ascended gently to Dore Head where the are good views to be had. 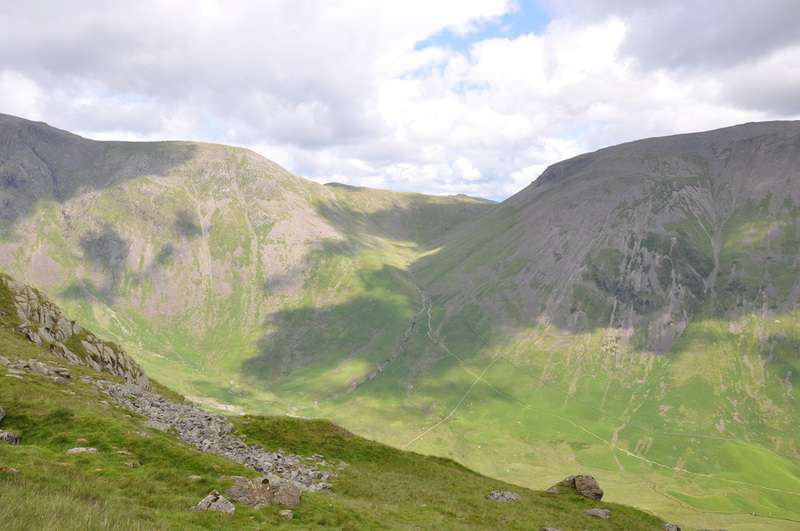 At this point we saw a couple making the ascent of Red Pike to the left and were sorely tempted to follow them up but conscious of the time we instead turned right to scramble up Stirrup Crag on to the top of Yewbarrow. 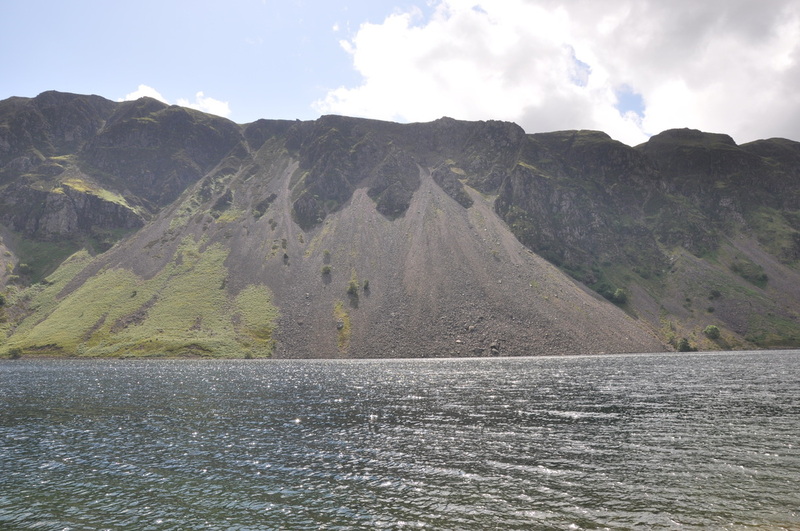 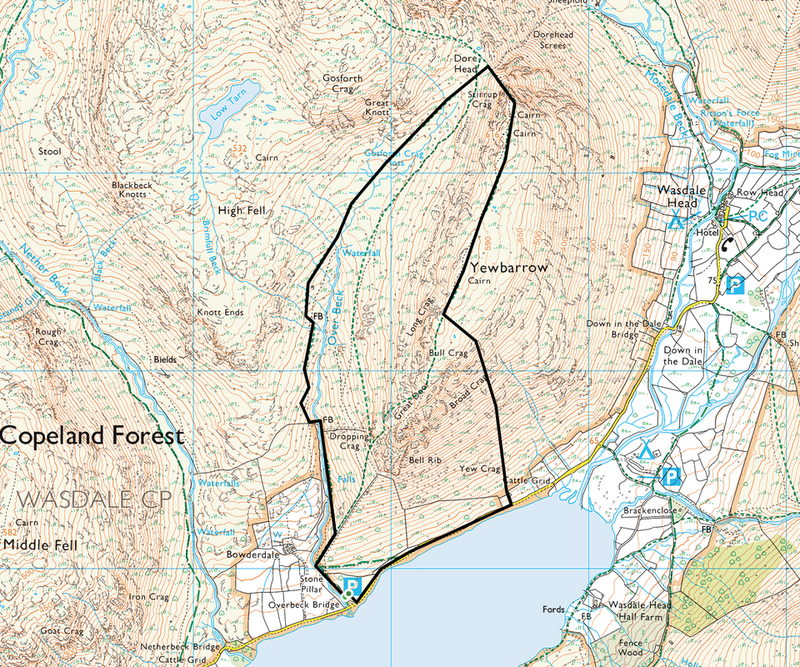 Yewbarrow has two summits, the North Top and the South Top which is the recognised Summit. 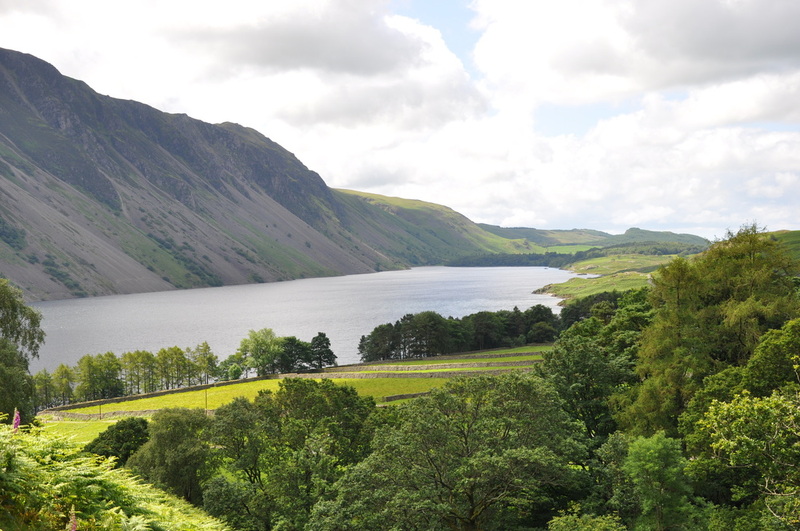 Having visited both and taken many photographs of the superb views we made our way down the fell side and aimed for the road below. 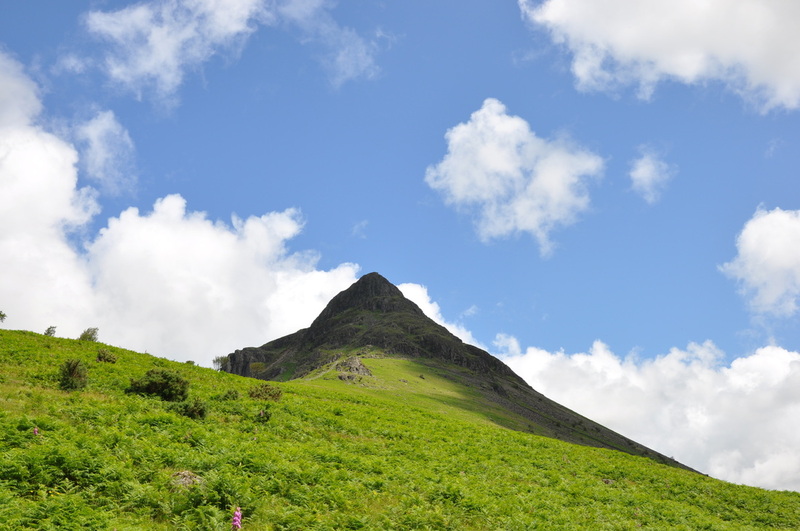 We would not ordinarily do this, preferring to keep to recognised paths but the ascent was not particularly difficult and it got us down quicker. 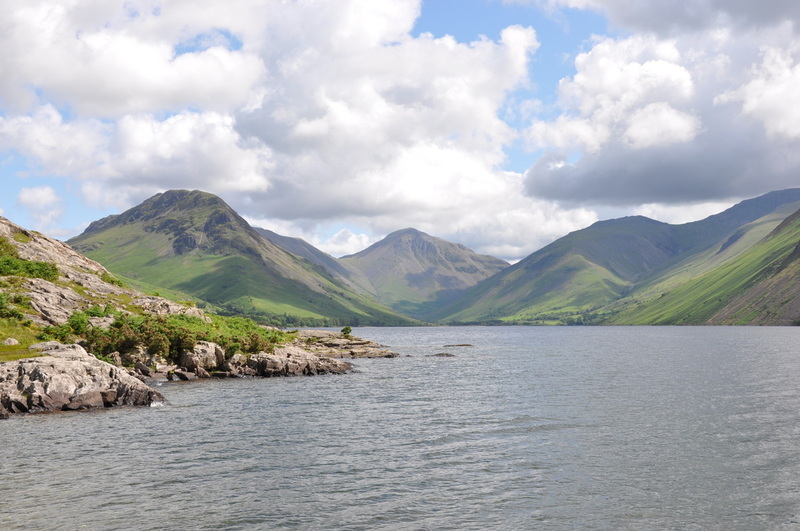 This was our first visit to Wasdale and it is clearly a very beautiful part of the Lake District. 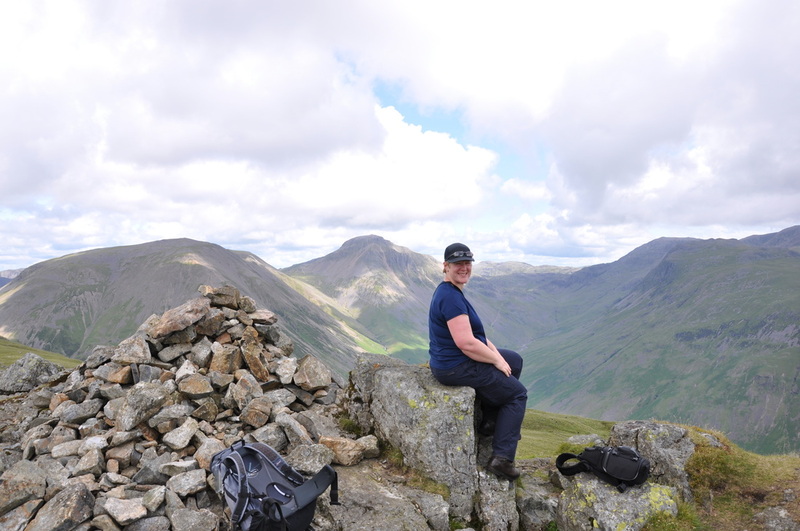 Angie on the Summit of Yewbarrow with Kirk Fell, Great Gable and Lingmell - not a bad view eh?